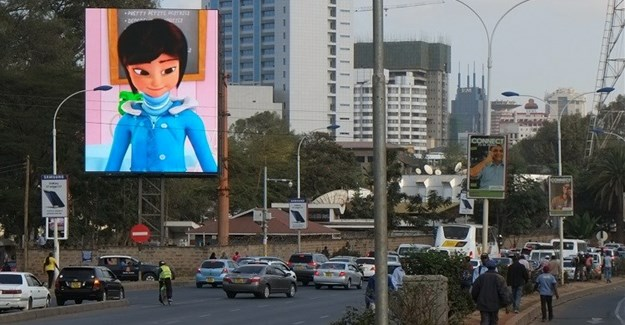 The internet, video games, television and filmed entertainment segments of sub-Saharan Africa’s entertainment and media industry are projected to continue to grow in the following years but the publishing industry is having to work very hard to make any headway, according to PwC’s Entertainment and Media Outlook: 2016 – 2020 report (South Africa – Nigeria – Kenya). The video game market is also performing well and revenue is forecast to grow at a CAGR of 5.6% to reach R3.7 billion in 2020, up from R2.8 billion in 2015. “In spite of widespread disruption in the entertainment and media industry, as well as intense competition for consumer attention, there are growth opportunities aplenty for companies to capitalise from in the new media landscape,” says Vicki Myburgh, Entertainment & Media Industry Leader for PwC Southern Africa. View Full Report Here. “The Bookmarks play an important role in shaping trends within the industry. Now in its ninth year, we have seen how award-winning work inspires and educates the industry about the power to build brands through creative and high impact digital executions that deliver measurable results,” she adds. New categories span Gaming, Virtual Reality, Digital Installations and Activations, Internet of Things, Customer Experience Design and Dedicated Internet Streaming Services. Entries close on 11 November 2016, which leaves less than two months to compile and submit your best work. The finalists will be announced after judging in the new year, and the awards ceremony will take place on 2 March 2017 at the brand new space in Sandton, Kramerville – The Galleria. Visit thebookmarks.co.za to submit your entries! Ericsson’s MediaFirst TV Platform will integrate with Google’s Android TV to expand the range of set-top box options available for Pay TV operators. Operators will get access to the Android TV ecosystem, opening up a range of functionality benefits and new revenue opportunities; and consumers get a one-stop-shop for Pay TV and OTT content, and a more seamless and integrated experience. Ericsson MediaFirst is a software-defined, media-optimised end-to-end portfolio suite for the creation, preparation, management and delivery of next generation pay-TV to any screen with an immersive TV viewing experience. The Ericsson MediaFirst TV Platform puts the future of TV viewing in the hands of consumers now, delivering intuitive services and features TV service providers can seamlessly implement and operate, enabling their customers to consume the content they want anytime, anywhere. The partnership with Google will give operators the opportunity to benefit from Android TV’s growing presence on connected TV operating systems, without the need for additional hardware costs. Ericsson ConsumerLab TV and Media research highlights that 56% of consumers prefer to receive TV, internet and mobile services from the same provider, if it saves money, and 22% will do so even if it costs as much as the sum of the individual services. With the growth of IP video services, this only underlines the challenge facing operators to deliver compelling, convenient user experiences in a holistic fashion. The collaboration will allow consumers to enjoy a more seamless and integrated experience with a one-stop-shop for OTT content. Lufthansa has launched a new image campaign with a fun and entertaining new TV commercial bearing the slogan “More than just a good flight.” In addition to the commercial, a digital special edition of the Lufthansa magazine will form the core of the integrated campaign. Kenya’s cabinet secretary for public service, youth and gender affairs, Sicily Kariuki, said that Kenya’s government was firmly committed to the program. “Kenya’s Vision 2030 which is the country’s long term economic development blueprint is aligned with principles of the Sustainable Development Goals. Particularly, the vision’s flagship project on gender, youth and vulnerable groups, mirrors the gender objectives in the SDGs. The recent war ignited between Facebook and Adblock Plus has once again thrown sharp relief on how the digital industry needs to employ a little soul searching when it comes to strategy and delivery. Described by some as an ‘arms race’ and even as a game of Whack-a-Mole for the ad industry, the back and forth between the coders at Facebook and Adblock Plus has given the ad industry, and the digital marketing industry as a whole, pause for thought. Andrew Bosworth, VP of Ads & Business Platform at the social media giant highlighted that Facebook is aiming to give users more control over the ads they are served on the site. Users will be able to specify which type of ads they do not want to be see by removing specific interests from their ad preferences. Some of the older internet users may still remember the days when we saw one or two ads per page. Today we are swamped with multiple ads that are loaded with tracking scripts, quietly gathering data on every aspect of our online behaviour. It could be argued that the blame for this lies with the publishers looking to load as much inventory as possible onto their pages. However, the digital ad industry is not without sin, producing ads which are overtly interruptive and packed with features which result in glacial page load times. One thing we have found is that users, advertisers and publishers all have different views about how ads should be served up, and each have valid points. Our current situation is less about who is to blame and more about how we can work around the challenges to find a common solution. One thing we are certain about though, is that the current arms race between Facebook and Adblock Plus is not sustainable. Publishers and content creators need to serve adverts that are truly engaging and creative to capture and sustain the viewer’s attention. The African entertainment industry is growing financially, despite the challenging economic climate. According to a report by PwC in 2014, the entertainment industry grew by 19.3% to reach $4bn and is set to double by 2019 to reach $8.1bn. Mosunmola (Mo) Abudu, named by Forbes as ‘Africa’s most successful woman’ and CEO of EbonyLife TV, is one of the few global success stories to come out of the African film and television industry. Currently, her network produces around 1,000 hours of premium content per annum. The truth is, for too long the world has seen Africa as a dusty place, overpopulated with hungry children and far removed from the West. Mo Abudu’s core intention with her platform was to change the narrative. She successfully showcases modern Africa through her network’s premium content, which can be enjoyed on DStv channel 165. Her new feature film, The Wedding Party, recently premiered at the Toronto International Film Festival, which is not the first time an EbonyLife film is selected to screen at an international film festival. This, of course, is no small feat when Hollywood and Bollywood continue to set the benchmark for quality content. By the same token, it has to be acknowledged that Hollywood is Hollywood because of the billions of dollars poured into advertising Hollywood films around the world and the distribution network that follows that. In order to appreciate the success of Nollywood, one needs to understand its journey – which was developed based on the sale of putting content onto blank VHS tapes over 20 years ago. A fascinating story in Nigerian entrepreneurship and resourcefulness! According to research conducted by effective consultancy, Benchmarketing, newspaper advertising increases a media campaigns effectives. The study was commissioned by Newsworks (UK) as detailed by warc. Presented at Newswork’s first Effectiveness Summit, the new ROI study provides hard evidence of the impact news brands have on advertising campaigns. The results show that newspapers increase overall campaign effectiveness as well as boost the ROI of other media when used in the media mix. Television’s effectiveness doubles, while online display becomes four times as effective and radio 10 times more effective. The study also measured the increase in effectiveness of adding newspapers to a campaign for different sectors, it was almost six times more effective for finance; about three times for retail and travel; almost twice for automotive; and 1.2 times for FMCG. Cars represent freedom, especially for younger people who have had to rely, for most of their lives, upon parents or public transport to get around. Ford South Africa takes a tongue-in-cheek poke at this idea with its latest campaign, “Adult Well”, from J Walter Thompson Johannesburg and director Peter Heaney of Spitfire Films. Not all ad formats are made equal. Some perform better than others and this leads to exceptional campaign results. Marketers should opt for these ad formats that not only help them achieve the goals of their campaigns but also address the challenges currently bedeviling the digital marketing industry. One such troublesome issue is viewability. According to Google, almost 50% of digital ads are not seen by actual human beings. Actually, this is the scourge of bots that is causing a real nightmare to agencies as brands are becoming skeptical of the efficacy of digital marketing. Additionally, digital technology has given customers great control of the content that is displayed on their screens and also how they interact with it. Intrusive ads that disrupt customer experiences are frowned upon and they are the reasons why most customers are annoyed by the ads. Fortunately, engaging non-intrusive ad formats take care of this. Swipe-Up and Panorama ads are giving brands incredible return on their ad spend. These two high impact ad formats produce high click through rates and are 100% viewable. The swipe up ad format is pretty ingenious, and because it’s so innovative it generates more than the usual engagement from mobile phone readers. When a user opens a web page that runs this ad, 20% of the ad swipes up from the bottom of the page. In the Panorama ad format, the ad slides from the top of the screen on user scroll. The creative slides in and sticks to the top of the screen without intruding on the user experience. Panorama and Swipe up ad formats are awesome result-driven ad formats that produce high impact. They are non-intrusive, are 100% viewable and enjoy high CTRs. Print publishers should use graphic design in addition to other tools to improve sustainability, says Pedro Matos, a design instructor and researcher at the Polytechnic Institute of Portalegre in Portugal. Publishers must also communicate their environmental efforts more effectively, he says. Pedro suggests some ways publishers can save visual space, increase their publications’ impact, and improve sustainability. With this in mind, there are many things a designer of a printed paper can do to save space. Of course there is always the need to maintain good visual communication of news and, most importantly, keep the focus on information, on space for text, in order to give journalists the possibility to write in-depth and thoroughly inform citizens. So it is important not to just shrink the size of the publication and all graphic elements accordingly, as some magazines are doing today. A good path for designers to achieve that is by choosing typefaces that can save space and by composing text in a compact way. Condensed typefaces for headlines are important, but a good type for body text is just as important. 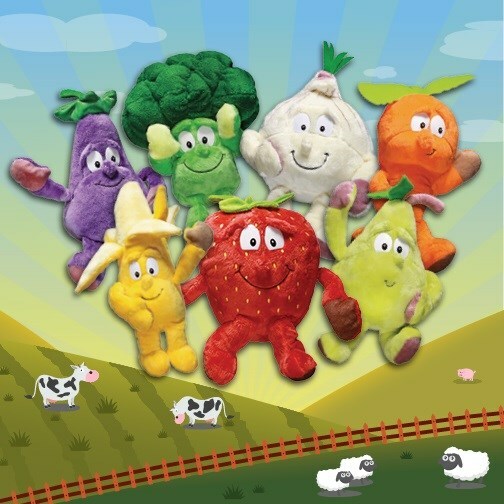 Food Lover’s Market recently launched The Goodness Gang – a line-up of fresh produce plushies to hero healthy eating and nutrition. The Goodness Gang is designed to help parents of Grade RR to Grade 3 learners teach their kids about the healthy benefits of eating their fruit and veg. The veg characters are available for collection via stickers earned over the course of the six-month campaign. To reinforce the message of healthy eating and nutrition, the Goodness Gang mascots will be visiting stores and schools in the Western Cape over the next few months. Selected Western Cape schools will be visited by the Goodness Gang puppet show, while ‘Fresh Cooking with the Goodness Gang’ cooking classes will be held at seven selected Food Lover’s Market stores over the school holidays in October. For additional information on the Goodness Gang puppet shows and the ‘Fresh Cooking with the Goodness Gang’ cooking classes visit Food Lover’s Market. The campaign runs from August to the end of January 2017. The Goodness Gang is exclusively available at Western Cape Food Lover’s Market stores. Kennedy Lamwenya has a long history in selling solar lamps and micro-grids. What he learned from this experience is that people wanted more. “I received so many inquiries from customers requesting me to link them with any company where they could buy a solar-powered TV system,” he tells Disrupt Africa. Lamwenya started looking for companies in Kenya that distributed solar-powered TVs, with no luck. Angaza Boma was born from this realisation, and formally launched in January of last year. The startup has developed a 19-inch LED digital solar-powered TV that provides off-grid households with television services as well as access to clean solar lighting via the two solar bulbs included with the system. They can also recharge their mobile phones. According to the Kenya Audience Research Foundation, TV only reaches 31% of the country’s adult population on a daily basis. “This leaves 69% of adults in the dark, either lacking access to power or simply unable to afford a normal TV set,” Lamwenya says. “Each family that owns our solar TV systems is able to save US$200 annually in kerosene expenses. School children in rural Kenya now have access to three more study hours every night,” says Lamwenya. In the next five years, after achieving 40% market share of the off-grid solar market in Kenya, the company plans to expand to Tanzania and Uganda. If they haven’t already, marketers should be embracing marketing automation software to streamline, automate, and measure marketing tasks and workflows, enabling them to increase operational efficiency and the effectiveness of their sales efforts says Bianca Quinn-Diavastos. Bianca believes that the sooner the adoption of this software, the sooner South African marketers will be able to optimise their return on investment effectively. “By embracing automation marketers can improve their sales effectiveness, and free up more budget to spend on high-value marketing efforts like analytics and content” she says. With content marketing becoming the flavour of the month in South Africa, marketing automation tools are the key to unlocking the full value of the leads, and the engagement marketers generate through their web content, blog posts, email marketing and social media efforts. In addition, it assists marketers to maximise results from their social listening and CRM solutions. Marketing automation automates communication with customers right across the customer journey, but in a manner that delivers highly personalised and relevant messages. You probably already tag customers that visit your web properties, which allows you to track their behaviour across the web. When they fill in a web form, you can build a more detailed profile of who they are and what they are interested in. From here, you can use this data to separate them into granular customer segments so that you can send them automated marketing emails customised to their preferences and interests. With marketers spending so much money on generating leads through ads, marketing emails and content marketing, investing in marketing automation to nurture and close those leads is a no brainer. While such tools used to be complex and expensive, there are offerings today that are affordable and accessible for businesses of all sizes. South African marketers that want to augment the value and success of their marketing efforts should seize the opportunity with both hands. Kaya FM 95.9 Home of the Afropolitan is pleased to announce some dynamic changes in its on-air content this September with a robust line-up of accomplished personalities including: Tebogo “Proverb” Thekiso, Bridget Masinga, Thomas Msengana, and Kojo Baffoe. The changes are part of the station’s continued focus in creating engaging content that appeals to the ever-evolving Afropolitan demographic. On weekends, the “Kaya FM Top 40”, which airs every Saturday between 10h00 and 14h00, will be hosted by Proverb who has built his on-air profile at Kaya FM with guest appearances across various daytime shows. The show will take a different approach to the traditional countdowns, exploring, unearthing and capturing musical narratives influenced by Proverb’s experience and insight in music. Kaya FM celebrates 19 years in broadcasting since its inception on 1 August 1997. The leading South African radio station has evolved over the years from a mainly jazz station to a multi-platform, multi-content platform that speaks to a distinct Afropolitan audience. The new TV campaign for Hunter’s Extreme Bold with Guarana launched last week with a 45-second commercial featuring an original track by DJ and producer Simon Ringrosen. The advert continues to build the brand’s narrative of overcoming life’s everyday obstacles and ‘taking things in your stride’. Portrayed by a night of partying being interrupted by a power failure, with Hunter’s Extreme Bold by their side, the revellers handle life’s heat and overcome the challenge by becoming the music with the rest of the crowd. The African Press Organization (APO), the sole press release wire service in Africa and a global leader in media relations relating to Africa, yesterday, 5 September 2016, announced the launch of MENA Wire, the first-of-its-kind press release distribution and monitoring service dedicated to the Middle East and North Africa (MENA). Founded in 2007, APO has established itself as a leading press release distribution service, distributing press releases on behalf of companies, PR agencies, institutions and organisations – including Facebook, Uber, Samsung, Visa, General Electric (GE), DHL, L’Oréal, Starwood Hotels & Resorts, the Dubai Chamber of Commerce and Industry, PwC, Yahsat, Orange, The Economist Event, the Islamic Development Bank, flydubai, Viber, Novartis, Sanofi, Caterpillar, MoneyGram, to name a few. APO’s ambition with MENA Wire is to become the market leader in press release distribution and monitoring in the MENA region within the next 24 months. The MENA Wire distribution network reaches influential print media, broadcasters, websites, blogs and social media in 18 countries, with a potential reach of 250 million people in the Middle East and North Africa. “The unprecedented success of Africa Wire, APO’s press release distribution service in Africa, has catalysed an increase in client demand for a Middle East service with the same quality and return on investment. At APO we listen to our clients and mould our service according to their needs. If our clients are happy, we are happier. I’m confident that MENA Wire will become the market leader within the next 24 months,” says Nicolas Pompigne-Mognard, APO founder and CEO. Celebrating creativity and the power of cinema as an advertising platform through a showcase of best practice in brand communications is the promise of the 2016 edition of Cannes Lions Edit. Hosted by Ster-Kinekor and Cinemark, this edited version of the 63rd Cannes Lions International Festival of Creativity highlights the award-winning campaigns from around the world that took top honours, and presents exclusive industry insights from this year’s panel of jurors. 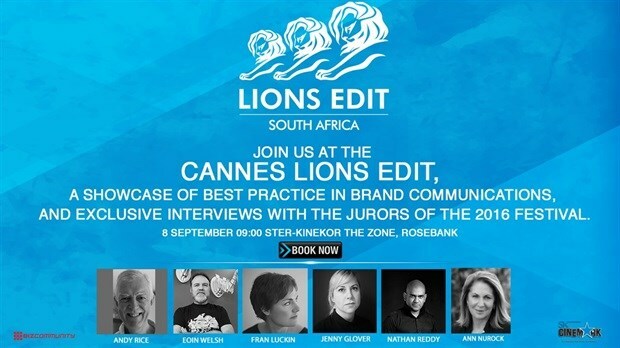 The Cannes Lions Edit events take place in Johannesburg at Ster-Kinekor The Zone and at Cinema Nouveau V&A Waterfront in Cape Town on 8 and 15 September respectively, from 9am till 10:30am. Bookings for both events are now open, and tickets are available at R150 each. “This is an amazing opportunity for anyone working in the advertising, marketing and brand communications industry. Not only will they be able to view the winning work from this year’s Cannes Lions, but they will also have the chance to interact with the South African creative experts who joined the panel of 387 international judges to decide the fate of thousands of creative entries from across the world. We will hear firsthand from them what they were looking for in the awarded creative campaigns,” says Tshireletso Yvonne Diogo, Ster-Kinekor’s general manager of promotions and trade marketing. For more information about the Cannes Lions Edit events at Ster-Kinekor The Zone on 8 September from 9am, and at Cinema Nouveau V&A Waterfront on 15 September from 9am, and to make bookings, visit the Ster-Kinekor website at www.sterkinekor.com or www.sterkinekor.mobi. Are there enough brand ads, TV shows, children’s books and other local content programmes that show the changing South African family in a positive light? Mbali Cindy recently discussed the issue of local content on South African TV screens. “The Modern Family TV show and the Honey Maid cracker brand ads are two examples of American media and brands addressing a generally overlooked audience by accurately portraying the changing family landscape and creating content that encourages social tolerance and acceptance. In South Africa, we have TV shows like Living the Dream with Somizi, Isibaya and My Perfect Family, which have also explored different family structures. But is that enough?” asks Mbali. Despite this diverse modern family make-up, what is most often depicted on our screens is the traditional family, with mom, dad and 2,5 kids, or else the single mom trying to juggle everything on her own with the father being absent, while other family configurations either get little attention or are portrayed in a negative way. But, what about the women who run orphanages? What about the single dads, stepdads or gay dads who are present and making breakfast, school lunches and dinner, changing nappies and bathing their children every day? There might be a small number of these, but they still exist. So, why is the truth of South African families not being reflected in popular culture? “It’s important for brands to engage with cultural shifts such as these and position themselves at the forefront of progress, as this presents an opportunity to create deeper bonds or connections with a new target audience by reflecting their hopes, aspirations, realities and responsibilities, irrespective of their gender or family structure. People will support brands that care about who they are, their life journey and their different purchasing motivations” says Mbali. South African brands which have started the conversation around the changing family structures include Kelloggs Corn Flakes #Familymornings campaign and the Nivea Care is Beautiful campaign. A new report from Ericsson ConsumerLab says that the widely used customer loyalty measurements in the telecom industry have not changed as much as consumer behaviour has. The report indicates that web page loading times, buffering issues on video streaming apps and social media picture upload delays are all factors that consumers consider when judging their experience. Millennials expect operators to communicate how social and video streaming apps perform, rather than just talk about network coverage. In the business of mobile broadband, customer loyalty is not what it appears to be. As smartphone users’ behaviour changes, traditional measurements are no longer enough to determine whether customers prefer their operator. What does this mean for advertisers? More and more advertisers are embracing video content, specifically being played on mobile devices. A substantial amount of budget is invested into creating rich videos and most advertisers are not seeing a high enough return from mobile and this could be the reason why. Smartphone users apply their own set of criteria to judge mobile broadband experience, based on how apps are performing – in particular whether video apps stream without interruption, or how fast users can upload content to share with their social networks. Millennial smartphone users (ages 18 to 24) overwhelmingly prefer to find out from operators how their favourite social media and video streaming apps perform on the network rather than the extent and reach of network coverage, the study shows. As new apps emerge and video usage behaviour evolves, network performance will matter more than ever and will determine how loyal smartphone users will be to their operators,” says Jasmeet Singh Sethi, senior advisor with Ericsson ConsumerLab. To view the report, click here. “The world needs more love at first sight.” Mpho Twala directs a romantic story in partnership with Ogilvy & Mather SA Cape Town for Revlon South Africa #unforgettable. Lesotho TV (LTV) has gone fully tapeless with an Avid production and post production suite. The solution from Jasco Broadcast Solutions, which was fully commissioned by mid-July 2016, will improve the quality of the state-owned broadcaster’s outputs significantly, laying the foundation for expansion of its services as the country readies itself for Digital Terrestrial Television (DTT). LTV currently only broadcasts to the Lesotho capital, Maseru. However, with the implementation of DTT technology, the broadcaster’s reach will extend to up to 80% of the country’s two million people when the country expects to go digital in 2017. Jasco Broadcast Solutions designed and helped LTV commission the Avid solution. Says Hoosein Moolla, sales executive at Jasco Broadcast Solutions: “We are pleased to be able to assist LTV with a solution that will help it to improve the quality of its services. The broadcaster provides an important communication and education medium for the nation. As DTT technology is rolled out, extending the reach of the broadcaster, the Avid suite will provide a strong backbone, enabling effective TV news gathering and delivery, as well as studio production.” If your brand or client would like to reach a wider audience in Lesotho, speak to our team today.